Can’t get your question answered below? Send us your question directly. Why won’t my hung window sash stay up when I open it? Most often, the problem is simply the window is out of balance. 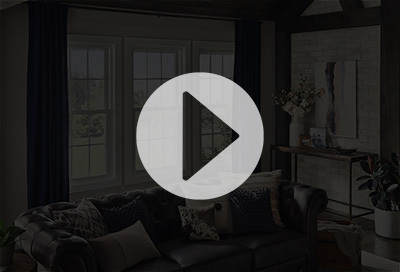 See our service video online for an explanation of how to re-engage your window when it is Out of Balance. How can I buy new or get a replacement window? We’d be happy to connect you to one of our dealers nearest you. Please visit THIS PAGE and fill out the form and we will contact you within 24-48 hours. Does Paradigm have standard window sizes to choose from? No, all of our windows are custom made to fit any project. The glass in my window is broken. How do I get it fixed? How can I find a dealer or distributor near me? Where can I find the serial number on my window? On vertical or horizontal slider windows, tilt in, or lift out, the bottom or inside sash respectively and inspect the sash frame for a barcode label. The serial number is located in the top left corner of the label and may appear as a four, five or six character number followed by a hyphen and one or two digits. For example, 1234-5, 12345-6, W123456-78. These numbers represent the window order number and the line number on which the particular window details are listed within the order. This information is permanently archived in our information management system and will be retrievable for future reference to assist in facilitating any future window service. Why do I have condensation in between the panes of glass? Condensation in between the panes of glass in a double- or triple-glazed window is the result of a seal failure. Paradigm windows warranties that insulating glass units will not fail. Should you experience a seal failure, contact Paradigm windows and find out if your seal failure is covered under our Paradigm 20 year or Lifetime warranty. Can I buy products directly from Paradigm Windows? No. Paradigm Windows is able to offer a non-prorated lifetime warranty to the original purchaser (homeowner) by controlling unanticipated service related costs by restricting sales to contractors on account with Paradigm product distributors. Painting Paradigm windows after installation is not recommended and will void the Paradigm warranty. Most common paint available from for purchase is not suitable for application on vinyl window products and may adversely affect window operation and performance. How do I get my window screen back in? Check out our service video online for an explanation of how to remove and reinstall screens. Can I get tax credit for my newly installed windows? You may be eligible for a tax credit. Consult your tax professional for information on available tax credits for your project. What is the difference between washability and egress hardware? Casement windows feature washability hardware which allows for a person’s arm to be extended outside the window from the interior to clean the outside surface of the glass. Should there be a requirement for ‘Egress’ or, a window that was opened to the full potential of the window opening, Egress hardware is the solution. The washability feature is not available with Egress hardware. Can I get locks on my windows so a person in a wheel chair can unlock the window? Can I get locks put on my windows so that they cannot be opened without a key? Why does my window have 2 locks? The physical integrity of the window is determined by the window design, materials used, and the method of fabrication. Paradigm hung windows only require two locks on units that exceed 32 inches in width. Windows narrower than 32 inches can have double locks applied upon request. What is the tallest hung window I can have built? We have minimum and maximum sizes for all of our products. It all depends on the features and width of the window. Typically the tallest will make a double hung is 80 inches. My contractor only installs your windows. What makes your windows better than the others? Is there a way to make my windows sound proof? Yes. Sound Transmission Class rating improvement can be achieved with the addition of offset and laminated glass and acoustic panels. Some products have been tested to increased STC ratings. Contact Paradigm windows for details. Can I install storm windows over my Paradigm windows? Storm windows are not required. Paradigm windows provide excellent thermal performance and do not require the addition of storm panels or other barriers to effect increased thermal efficiency. Do you make an R5 Window? Yes. We make R5 capable windows. An R5 window is an operating window that achieves a thermal performance rating of 0.22 U-value, or a fixed window that achieves a 0.20 U-value or lower. Look online at our thermal performance data reports to see if the window you’re interested in meets the R-5 criteria. 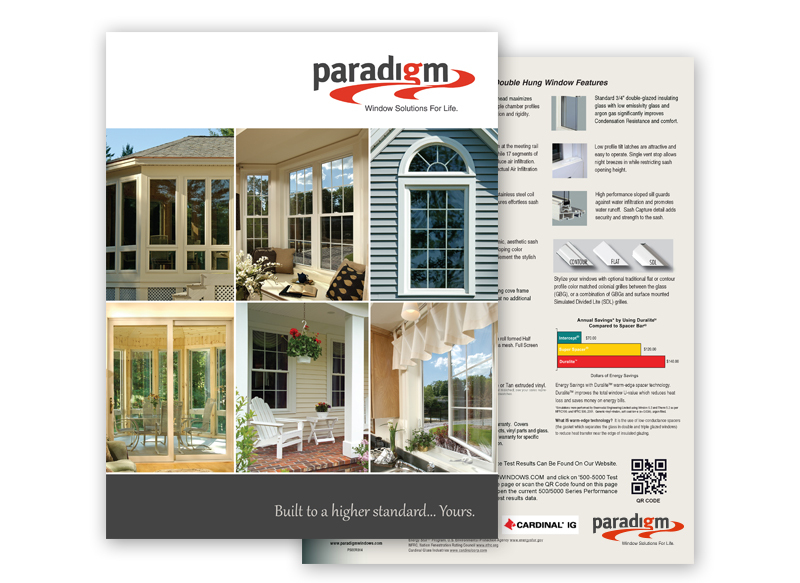 Why are Paradigm Windows not offered at local building product retailers? Paradigm windows offers one of the most robust lifetime warranties in the market place. By limiting access to our products to professional builders and remodelers, we help insure that your windows are installed safely and correctly, and that you do not incur unnecessary expenses as a result in faulty installation. You can find a local dealer / distributor of our products online, look for the Find a Dealer or Find a Distributor menu item on our website. Ask your local distributor for a referral to contractors in your area who can provide you an estimate for your project. I am building a ‘net zero’ home, how deep can your extension jambs go into the wall opening? Paradigm windows provides custom extension jambs, to reach however deep into a wall opening as is required. Extended lead times may be required for special material, or exceptionally deep window pockets. Can I make my casement window look like a hung window from the outside? Yes. We offer suspended grilles for single sash windows, such as casement, fixed casements and picture windows, that will provide the look of a double hung window by the placement of a wide suspended horizontal grille a the mid –point of the sash. Typically this is a 1 inch wide bar that can also be applied as an Simulated Divided Lite (SDL)Grille, above and, or below which is placed contour or flat grilles between the glass (and SDLs if requested). Why is there no option for a Picture Frame profile with offset casing? The design of the offset casing does not allow for the offset profile to surround the bottom of the window profile—it does not allow access for weep hole drainage. Therefore, offset casing is only available with 5/4 board sill nose detail. Why is there no option for contour grilles on triple-glazed windows? Paradigm windows uses ¾ inch insulating glass for most window configurations. Within this finite space is single or double strength glass, as well as chambers for insulating gas. Profiles of contour grilles are deeper than that of flat grilles, and risk rubbing against the low emissivity coatings on the glass. Flat grilles are available as well as Surface mounted Simulated Divided Lite grilles for both the interior and exterior of the window. What is the difference between standard exterior casing and ‘offset’-exterior casing? 8300 Series double hung and full screen capable glider windows both incorporate a full screen track extruded into the exterior of the window frame. Standard exterior casing is applied on the outside edge of both products and will “reveal” the valley between the inside edge of the exterior casing and the bevel edge of the screen track (called the screen track reveal). Offset exterior casing is designed to ‘hide’ the screen track reveal by relocating the attachment point of the casing profile so that the interior edge of the exterior casing rests on top of the screen track channel, thus “hiding” it—an aesthetically pleasing trait many designers/architects prefer. Do all windows come with low emissivity glass coating? All new construction windows feature low emissivity glass coatings. Some premium replacement products also feature low emissivity glass coatings. Contact your sales representative for details. Can I get keyed locks on my patio door? Do I need stainless steel hardware on my window? 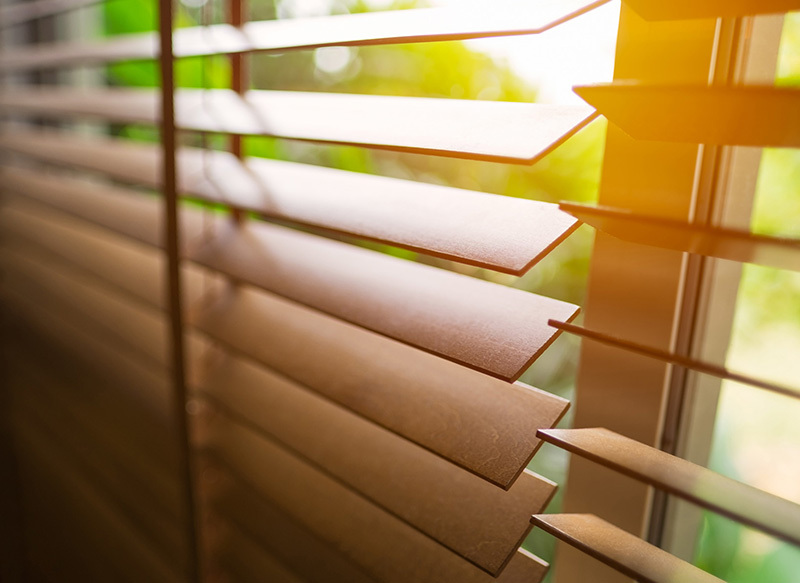 Casement and awning window operating hardware, sliding glass door and 2- 3-lite glider window roller assemblies, both are adversely affected by the corrosive effects of tidal air flow. Paradigm products indicated above that are installed in structures located within 4 nautical miles of tidal water, must have stainless steel hardware installed in order to effect the full force of the Paradigm warranty. Where is the Serial Number on the Casement Window? Casement window serial numbers are located on the top of the sash frame. It is recommended that a mirrored device or hand-held camera device be used to inspect the top of the opened sash. The serial number is positioned on the TOP LEFT corner of the barcode label. Can I put an air conditioner in a Paradigm window? Yes. Paradigm offers an air conditioning (AC) unit sill adapter for the 8321 Double Hung window. AC Accessories for other window types are not available. Should a homeowner or contractor install unapproved AC adaptors, or install AC adaptors in non8321 window types, failure of the window unit, determined to be effected by the installation of an unauthorized support system, will not be covered under the Paradigm warranty. Egress windows are sized according to local building code to provide unrestricted access through the window opening for fire fighters or EMS personnel. See your local building code enforcement office to determine if your project requires Egress windows. What is the difference between double-glazed and Triple-glazed windows? Double glazed windows incorporate operating sash in which two panes of insulating glass are sandwiched together, separated by a spacer material, creating a sealed cavity in which trapped air or an insulating gas is inserted. Triple glazed windows incorporate operating sash in which three panes of insulating glass are sandwiched together, separated by two sections of spacer material, creating two sealed cavities in which insulating gas is inserted. Condensation is a naturally occurring event resulting from the surface on which moisture occurs being equal to, or lower than, the ambient dew point temperature in the immediate surroundings inside the window. This phenomenon may occur in newly constructed homes where foundations, interior dry wall and other building materials continue to dry out after construction and the interior humidity levels are high enough for condensation to form on surfaces that are at or below the dew point temperature for the immediate area. During cold spells, condensation may form on window sashes, typically along the joint between top and bottom sash, and along the bottom of the bottom sash. This occurs as ambient cold outside air cools the window surfaces sufficiently, resulting in the surface temperature of the glass to be conducive for the formation of condensation as a result of ambient humidity in the interior area surrounding the window. Condensation is a naturally occurring event resulting from the surface on which moisture occurs being equal to, or lower than, the ambient dew point temperature in the immediate surroundings outside the window. Can I change the half screens for full screens in my windows? Yes. Full screens can be substituted for half-screens on windows that have 2 operating sash. A two-lite glider and double hung window both will accept full screens, while a single hung window, hybrid and tilt-glider will not.